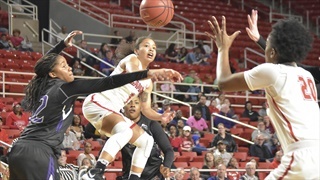 The Ladyjacks returned to Katy feeling confident and ready to play, only to be beaten out in the championship round by Nicholls who was on what head coach Mark Kellogg calls a "magical run." 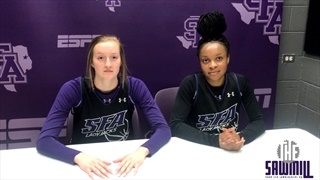 Listen to the head coaches of the Stephen F. Austin Lumberjacks and Ladyjacks as both teams prepare for the Southland Conference Tournament in Katy, Texas this week. 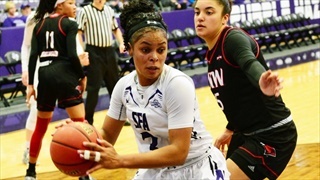 The Stephen F. Austin Ladyjacks were able to end their regular season on a great note, finishing with two dominating road wins - their last against their oldest rival, the Sam Houston State Bearkats. 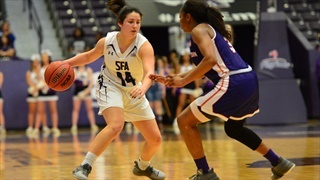 The Ladyjacks will close out their 2017-2018 regular season on the road against their oldest rivals, the Sam Houston State Lady Bearkats, looking to end on a great note before heading to Katy in a week. 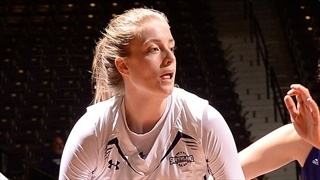 Marissa Banfield and Lovisa Brunnberg both put up career-high points in Wednesday's convincing road win against Abilene Christian in which the Ladyjacks recorded their third sweep of the season. 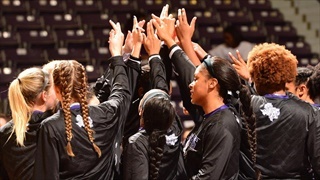 The Ladyjacks will travel to Abilene Christian in their second-to-last game of the season, hoping to end the season on a strong note after a tough home loss on Saturday. 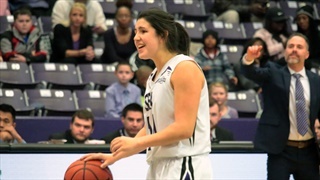 The Ladyjacks' 16 home game winning streak was snapped Saturday by the Lamar Cardinals, despite Stevi Parker's 1,000-point mark in her career, to finish out their season at WRJ Coliseum. 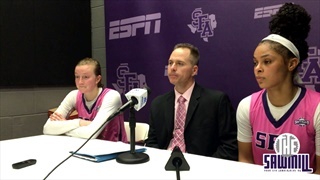 Ladyjacks head coach Mark Kellogg, senior Stevi Parker talk to reporters after Stephen F. Austin falls at home to the Lady Cardinals of Lamar. 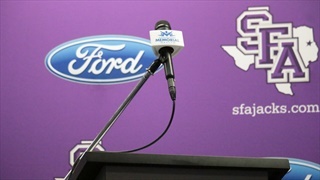 Stephen F. Austin will face Lamar Saturday in Nacogdoches, hoping to complete a perfect at-home season and potentially take over first place heading into the last week of regular-season play. 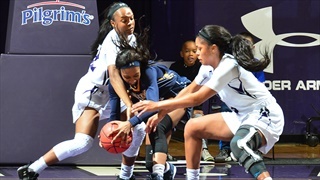 The Ladyjacks traveled to face the Central Arkansas Sugar Bears, clinching the 55-50 win to sweep the team on the season and secure a double bye in next month's Southland tournament. 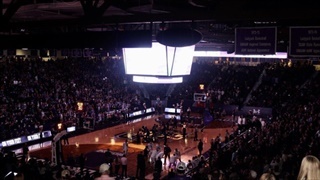 The exclusive behind-the-scenes perspective on the latest in the world of Lumberjacks and Ladyjacks sports. The Ladyjacks will play first in a doubleheader at University of Incarnate Word on Saturday as the only Southland team with 20 wins. 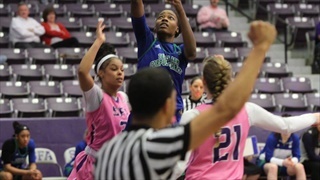 Amidst a multitude of ties and lead-changes, the Ladyjacks edged out the Texas A&M-Corpus Christi Islanders behind baskets from Chanell Hayes and Kennedy Harris in a game that came down to the last few seconds. 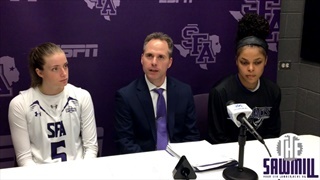 Stephen F. Austin Ladyjacks head coach Mark Kellogg, players Stevi Parker and Chanell Hayes address the media after eeking past the Islanders in Nacogdoches. 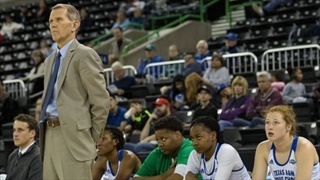 Stephen F. Austin has been hot from three and will hope to snap the second-longest winning streak in the Southland by topping the Islanders on Wednesday. Senior Ladyjacks Stevi Parker and Taylor Jackson meet ahead of their home bout with Texas A&M-Corpus Christi at William R. Johnson Coliseum. 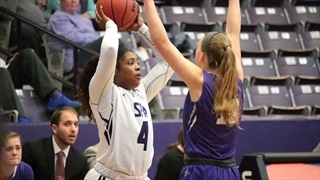 The reserve group for Stephen F. Austin had big minutes in Saturday's matchup contributing to the Ladyjacks' season-high performance from behind the arc. 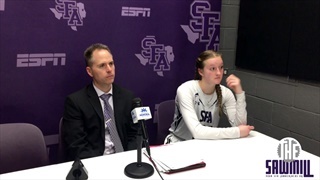 Head coach Mark Kellogg is joined by Chanell Hayes and Lovisa Brunnberg after rolling the Lady Demons of Northwestern State in Nacogdoches. 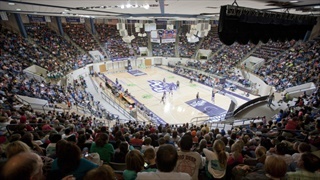 Stephen F. Austin will look to go 2-0 against the Northwestern State Lady Demons this season by upholding their undefeated record at home in Saturday's Purple Out doubleheader. 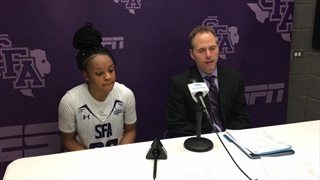 Ladyjacks head coach Mark Kellogg, senior point guard Taylor Jackson discuss Stephen F. Austin's win over the McNeese State Cowgirls in Nacogdoches.